Grower/shippers in California’s San Joaquin Valley report good shipments of quality California stone fruit in the last half of May and it should pick up even more with the month of June. SOME PRODUCE RATES ON STONE FRUIT OUT OF THE SAN JOAQUIN VALLEY HAVE EXCEED $9,000 TO BOSTON DURING THE PAST WEEK. Yellow and white peaches, as well as yellow and white nectarines have been moving for the past month. Peak stone fruit shipments will be occurring the last half of June and July, with about average shipments seen for the season. PEARS – California pear shipments will start the earlier than at least the past couple of years. Loadings are expected to get underway around July 9th. Northwest cherry shippers, for the first time in six years, expect good volume shipments for cherries in June. The first shipments of cherries in the state could start from June 1 through June 3. Barring some bad weather (which would probably be rain), full bore cherry shipments should be occurring in time for the Fourth of the July for the first time since 2007. 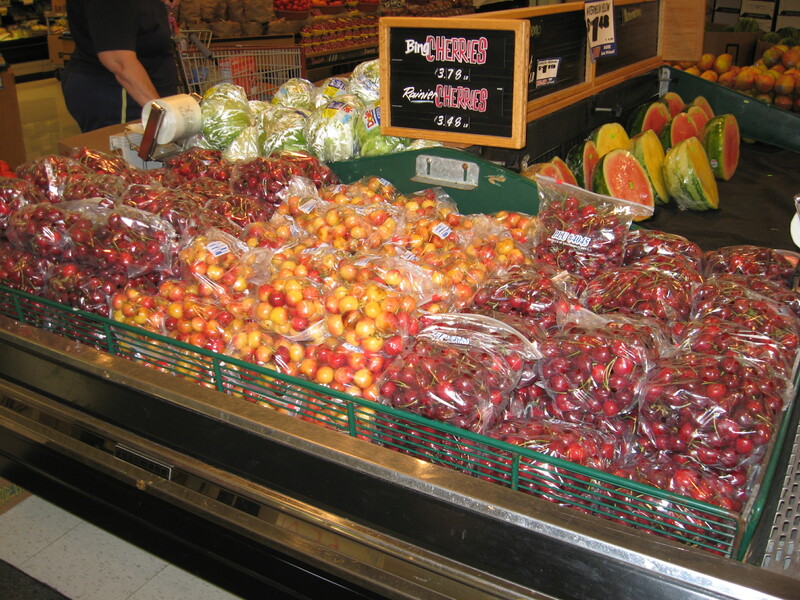 The record shipments of 23 million 20-pound boxes of Northwest cherries last year was a 23% increase over the 2011 crop. The Northwest will likely harvest a cherry crop in the 18 million to 20 million carton range in 2013. San Joaquin Valley stone fruit – grossing about $8,800 to Boston. There will be fewer apples for hauling in two of four of the leading eastern states this fall. New York got hit the hardest by frost related weather earlier this year, but there also will be fewer loads available for produce haulers in North Carolina. Pennsylvania and Virginia will be up in volume only slightly. New York state’s Western and Central apple shipping areas were hit the hardest, with less frost damage occuring in the eastern part of the state, home of the Hudson Valley. Still, New York’s volume will be down 52 percent from last apple season ( 590 million pounds compared to 1.2 billion pound a year ago). In Pennsylvania, apples are forecast to be at 481 million pounds. It shipped 458 million pounds last year. North Carolina took a beating. This year it expects to load 40 million pounds of apples compared to 140 million pounds in 2011. The leading apple shipper in the mid-west, Michigan will ship 85 percent fewer apples this season. Ironically, Washington state, which normally ships about half of the nation’s apples every year, is expected to account for 77 percent of the nation’s apple loads for 2012-13. This is despite suffering some hail damage. The state was on track for historic volume, until the fowl weather hit. Still, Washington state is expected to have its second largest amount of apple shipments on record. One difference produce haulers can expect out of the Northwest this season is for Washington shippers to be packing more apples than normal in the smaller, consumer bags. This is because Michigan normally is heavy with bagged apples, and Washington packers will be looking to help fill this void. 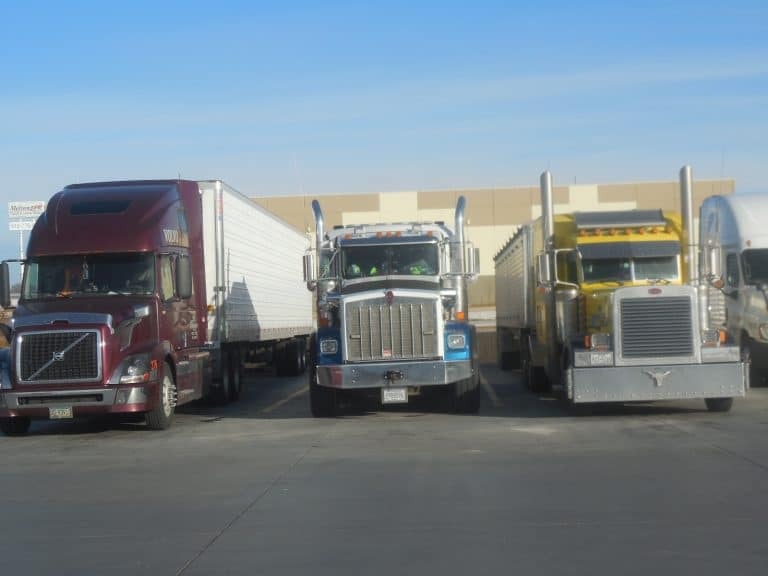 Produce truckers should always watch what is being loaded, not only for proper count, but for quality and appearance of the product being loaded. 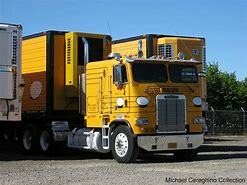 This is especially true if you are hauling apples from most shipping areas this season. Expect shippers to be loading some fruit with pits or hail damage marks on it. 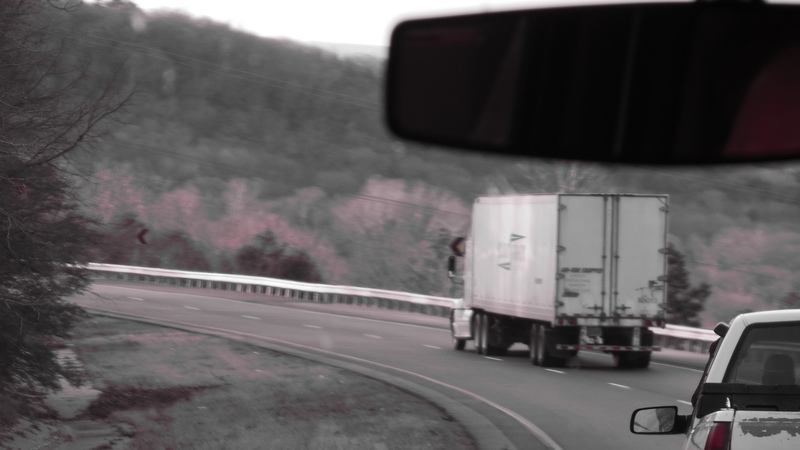 Just make sure whom you are hauling for is aware of this situation to help reduce changes of claims or rejected loads. Also, be sure and note it on the bill of lading. Washington state apples grossing – about $5600 to New York City. Triple digit heat in much of the country has finally broken and fall shipments of fresh produce are coming. Two such items are fresh cranberries, that will be shipped from a handful of states, plus California apples that fill a niche between loadings of Chilean fruit and apples out of Washington state. The third largest cranberry crop on record is being forecast by the USDA, amounting to 7.6 million 100-pound barrels. While Massachuetts will be down slightly from last fall, increases are seen in Wisconsin, Washington state, Oregon and New Jersey (the latter being virtually all processed fruit). Expect Wisconsin cranberry shipments to get started around the week of September 17th, with Massachusetts starting around that same time as well. Oregon and Washington state seasonally start later. While loadings begin in September, cranberries are still closely associated with the Thanksgiving holiday. Thus, the big volume is moved in the first half of November leading up to the holiday. With this big a crop, some loads will be moving after Thanksgiving (which is November 22nd) for the Christmas holidays. A lot more California apples used to be shipped than are today. This situation reminds me a bit of vegetables shipped from the Eastern Shore area of Delaware, Maryland and Viriginia. This region is sandwiched in between harvests to its south such as the Carolinas and Georgia, and to the north in shipping areas such as New Jersey and New York. If the Eastern shore veggies are too early or too late they are up against shipments from competing areas to the north and south of them. 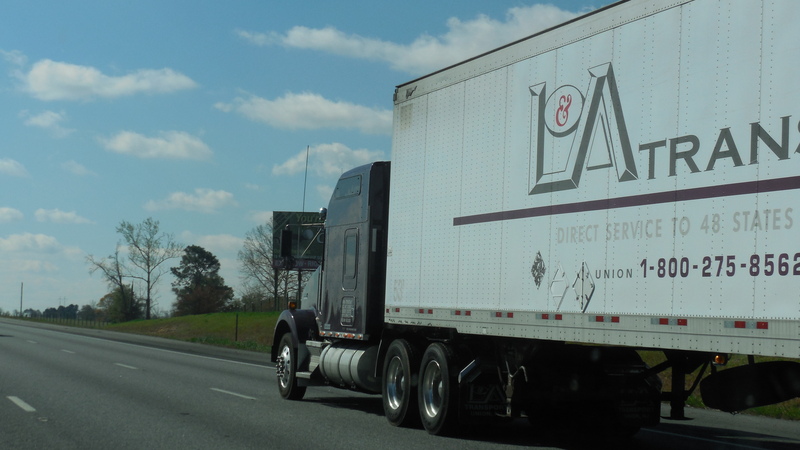 As a result of many “misses” compared to “hits” for the Eastern Shore, shippers have hurt. The result is fewer shippers and less volume than a decade or two ago. 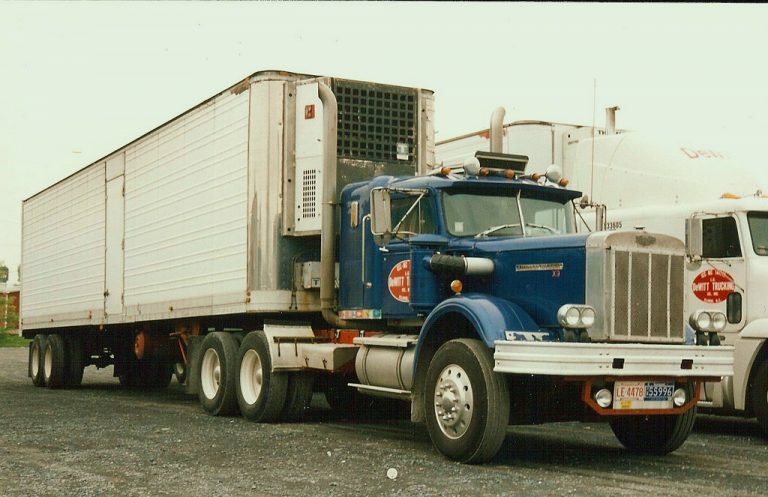 If you are a veteran trucker who has hauled apples from California, you may remember in the mid 1990s there were around 10 million boxes of fruit being shipped for the season. Today, that number has dwindled to about 2.5 to 3 million boxes. Most of the loads originate out the Central San Joaquin Valley including San Joaquin County, Sonoma County and Santa Cruz County. Shipments will continue through December. Leading apple varieties are fujis, galas and granny smiths. While I’ve written some reports suggesting caution when loading Washington state apples from the Wenachee Valley due to damage from a July 20 hail storm, information is now starting to come out relating to the pears from the same area. Expect pear shippers to be loading some “hail grade” pears. Appearance is affected, but eating quality should be fine. Just make sure the parties with whom you are working to deliver the load are aware of this condition to the fruit and it is noted on the bill of lading. Washington state pear shipments are expected to set a record this season volume wise. In Michigan, produce shipments have been running early this season, not only for vegetables, but blueberries. Expect both to complete shipping a week or two ahead of schedule this summer. Michigan blueberry volume will drop significantly beginning the week of August 27th…..Expect a similar situation with “blues” coming out of Oregon and British Columbia. In the San Luis Valley of Colorado, potato hauls should be ramping up by the end of August…Virtually all USA potato shipping areas are expecting to load more spuds during the 2012-13 shipping season. On the East Coast, watermelon shipments have increased significantly over the past three years from Maryland and Delaware. Virginia also is shipping melons…..Expect increased loading opportunities on watermelons for the upcoming Labor Day weekend from areas ranging from West Texas to Indiana and North Carolina. Delaware watermelons – grossing about $1100 to New York City. Looking across the USA, there will be a lot of loading opportunities for apples, particularly in the west, although fewer than a several months ago before weather factors hit some orchards. In the East, there actually should be a few more loads available for the 2012-13 season from both Pennsylvania and Virginia. No word on the New England states, but volume from there is relatively light even in good years. New York state, particularly the central and western shipping areas took a significant hit from freezing weather earlier in the year. The Hudson Valley apparently escaped pretty much unscathed. Overall, New York state apple shipments will be down around 50 percent, estimated to be about 590 million pounds. Before the freeze, the state was looking at about 1.2 billion pounds of apples. Poor ole Michigan took the biggest hit from freezing temperatures this year. At one time is was looking to ship 985 million pounds. Apple tonnage now is forecast at only 105 million pounds. Washington state, which on any given year shipments about as many apples as the rest of the other states combined, also lost tonnage a few weeks ago from hail storms. However, it was on course to have record shipments. Even though that will not now happen, it still will be loading as much fruit on average, as it has over the past five seasons. Washington’s Yakima and Wenatchee Valley apples – grossing about $5300 to New York City and Hunts Point. While Washington state apple shippers are wringing their hands over the crop and profits that could have been, apple haulers probably won’t notice a lot of difference this 2012-13 season, since even after a hail reduced crop, shipments will be right in there with the average for the past five years. One difference however, are the possibilities truckers may face with claims, unless you make sure the buyers know what is being delivered. There could be some hail damaged apples shipped to market this year; ones that look a little roughed up on the outside, but the quality is supposed to be good on the inside. The apples with damage from hail will have “dimples” that turn brown and have a russetted look. Some orchards totally escaped damage from the July 20 hail storm, while others were hit with varying amounts of damage. Much of the hits were taken by the Red Delicious variety. The five-year average for Washington state apple shipments has been 100 to 110 million cartons. Before the hail storm, shippers were looking to move as much as 120 million cartons of apples this season. Loading opportunities are still expected to be good, despite the predictions of 10 to 25 percent of the crop being lost. Updates on the amount of damage to apples from the hail storm are expected to come out within the next week.